Tom Ferrier’s TF Sport outfit has announced that it has added an Aston Martin V8 Vantage GT4 to its headlining GT3 entries in the 2014 Avon Tyres British GT Championship. The newly dubbed official Aston Martin Racing Partner Team will field the GT4-spec V8 Vantage for Aston Martin GT4 Champion, Andrew Jarman, and Renault UK Clio Cup standout, Devon Modell. Jarman spent three years competing in the BARC Formula Renault Championship before making his mark in GT racing by clinching the 2013 Aston Martin GT4 Challenge crown at the first time of asking. 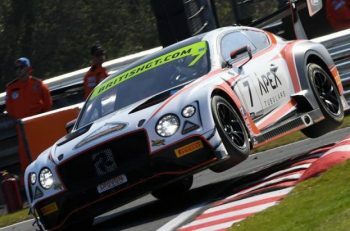 “Having won the Aston Martin GT4 Challenge in 2013, the British GT Championship is the next logical step and I was keen to remain within the Aston Martin family while joining a first-rate team,” said Jarman. “I’m really looking forward to the 2014 season and working with Tom Ferrier – a very experienced and knowledgeable guy – and the TF Sport outfit, as I’ve been impressed by the service it has provided and what has been put together in such a short space of time. “I’m obviously well acquainted with the Aston Martin V8 Vantage, I know it’s a great car and the goal is to win the 2014 British GT4 title by achieving regular race wins and podium finishes. If I achieve podiums throughout the year I’ll still see it as a success, but a lot will be determined by how the balance of performance between the different makes and model of car is worked out and whether there’s a level playing field. 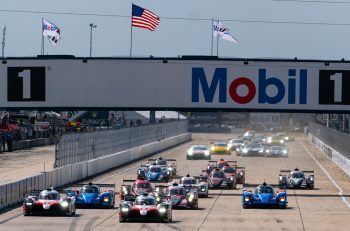 Modell capped off his 2013 season the year by winning the ‘Autumn Cup’ event at Rockingham Motor Speedway, before making a successful transition to endurance racing in the 2014 Dubai 24 Hours. The Maidstone-based driver will continue to compete in the UK Clio Cup but has added the British GT effort after having tested the V8 Vantage for the first time at Oulton Park circuit yesterday. “It was a new experience and I think I adapted from front to rear-wheel-drive well. I learnt a lot but there’s undoubtedly a lot of improvements still to be made with both my driving and the car. The great thing is, TF Sport and Tom (Ferrier) have ideas and, as an official Aston Martin Racing Partner Team, will benefit hugely from some technical assistance. “There’s a strong field of GT4 cars for 2014 and I have no idea where we’ll stand when the season begins, but we had a very positive test at Oulton Park and the team’s drivers are very capable. It’s going to be a formidable pairing and they’re both known quantities.